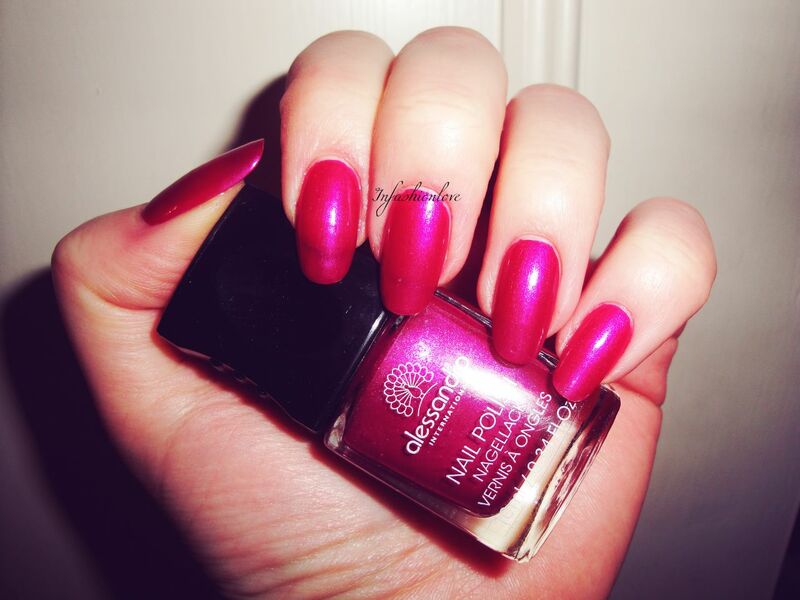 INFASHIONLOVE.COM: Alessandro Nailpolish in Shine Rubin & Jasmine Hand Cream! 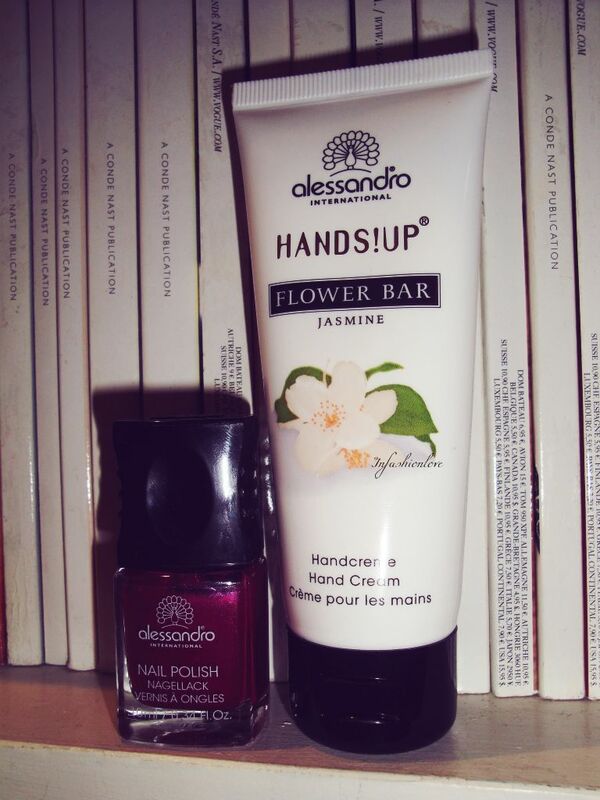 Alessandro Nailpolish in Shine Rubin & Jasmine Hand Cream! I got these two in my goody bag at the Alessandro Striplac launch event I went to a couple of weeks ago. 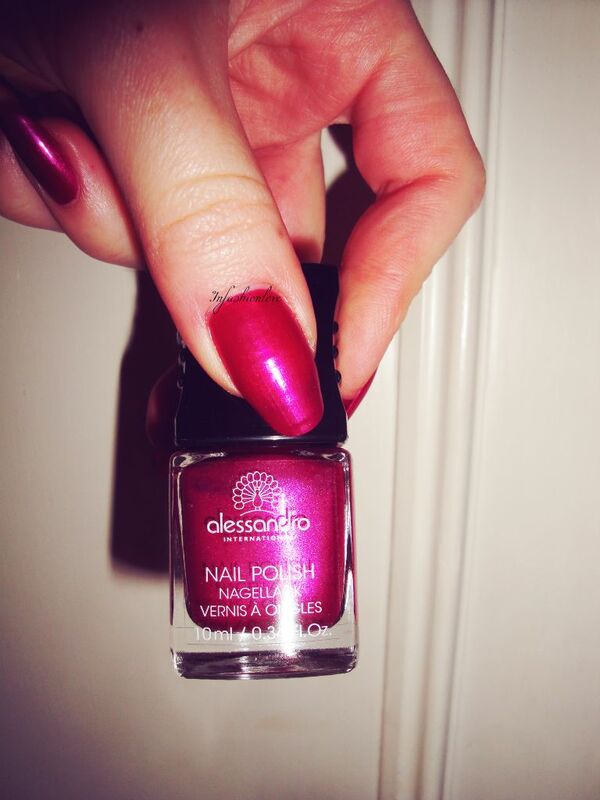 Just wanted to quickly share my love for Alessandro nailpolish, which I only discovered last year. The quality is great, and what's exciting is the 99 shade range. 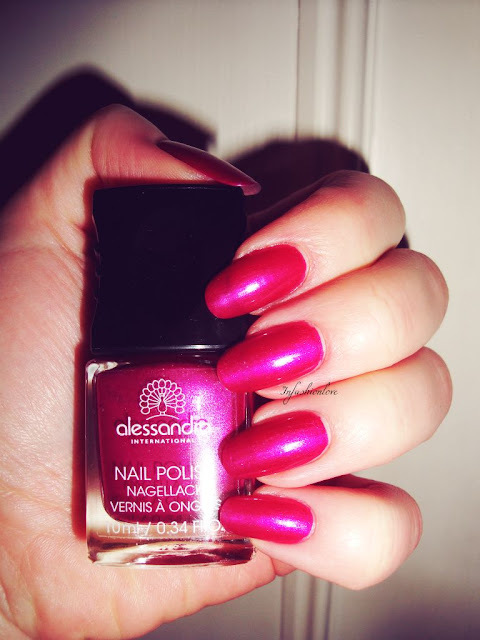 To read my blogpost about the Striplac launch and also to see the full range of the Alessandro nailpolish click here! Shiny Rubin is a shimmery deep fuchsia. But another fantastic discovery is their Hands!Up Flower Bar hand cream in Jasmine, it's divine!! Those of you who read my blog regularly will know how much I adore Jasmine scent. I always go for fragrances that have Jasmine in them, so I was really happy to find this tube of goodness in my goody bag. This cream comes in a wide range of scents, including Sugar Lemon, Green Tea, Paradise Apple and all sorts of yummy fruity and herbally scents!! Ever since the day I tried the Alessandro Jasmine hand cream I have been addicted, it's the sexiest hand cream scent I own! !